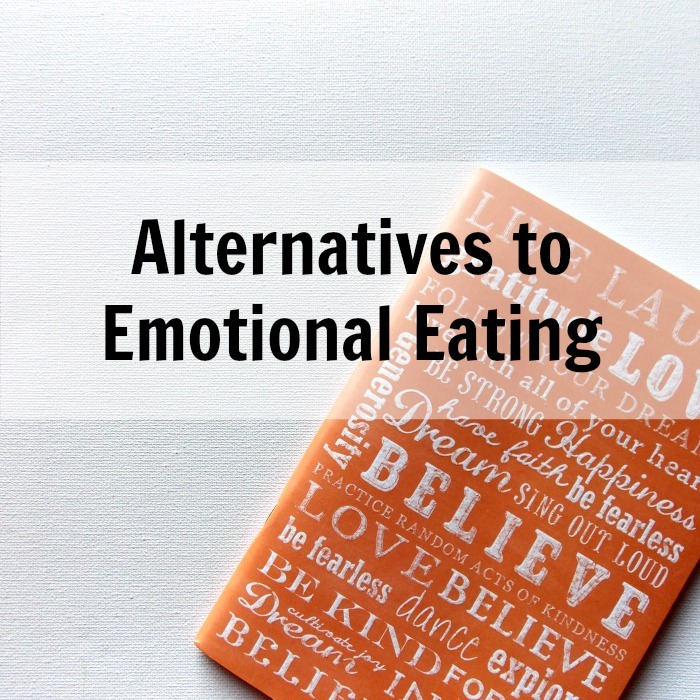 I shared last week about my struggle with emotional eating (here) and have for the last few weeks been more intentional about noticing when I'm running to food for emotional reasons versus hunger. I've made a commitment to take five minutes before running to food to ask myself, "What are you really hungering for right now?" It has been illuminating. Doing this has revealed that I tend to turn to food most often in the evening when everyone is home and we're all active or chatting or watching a show. I think it feels like the work day has ended and it's time for relaxation and that, to me, has included food. I find myself wanting to munch. Asking myself why, has helped me dig into what's going on inside my mind that's leading me down this path. The themes that continue to pop up are: feeling unproductive, feeling nervous/unsure, and celebrating. To help myself deal with these emotions, I compiled a list of options. When I ask myself what I'm hungering for and it's not food, then I look at this list to see what connects with what I'm actually needing. I only share this list to encourage those who are struggling through something similar. May it inspire you to make your own list. Your needs and wants could be very different than mine, so go with what feeds you. This list has saved me many moments when I couldn't think exactly WHAT I needed but knew I wasn't physically hungry. Connecting with something on the page, helps me deal with my emotions in the best way and stay away from eating mindlessly. Do you have any other ideas for me? What would be at the top of your list?